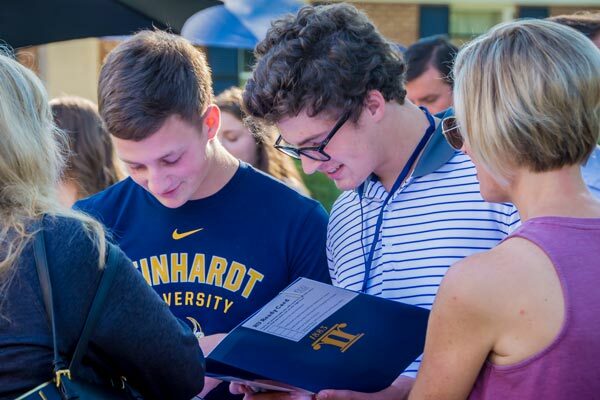 Reinhardt students can choose from four graduate programs or 40+ undergraduate programs of study which range from business, education and music to political science, theater and digital art. In addition, Reinhardt's Public Safety Institute includes a Police Academy which offers P.O.S.T. Basic Peace Officer Certification and 15 credit hours towards an associate degree in criminal justice and other public-safety related programs. 1 Degree completion, 3 Associate degree, *Pending SACSCOC Substantive Change Approval, **Ongoing Initial Approval by Georgia Board of Nursing. Pending SACSCOC Substantive Change Approval.